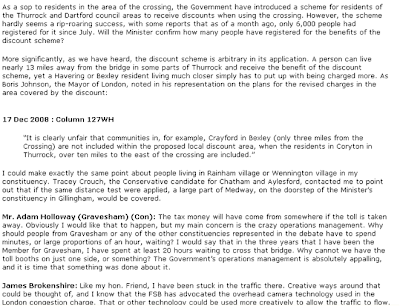 Tracey Crouch: My Dartford campaign is mentioned in Parliament! Oh, James — yes, he's a good fellow. He even helped out here in Medway during last year's local election campaign, and I chatted to him for a while during our work on the streets of Strood. I was suitably impressed! I am really pleased to see all your hard work for the area is recognised. Well done Tracey and keep up the good work.